A fire burned inside Myo Zaw. It was lit the day the Lord redeemed him, and it grew hotter and more intense every single day. He was like the prophet Jeremiah, unable to keep the love of Christ hidden within himself. If he tried, he felt restless, he felt sick. People thought he had gone mad. Those in his community already knew him as a hot-blooded drunkard who fought with people and beat his wife and children, and now he proved his insanity. 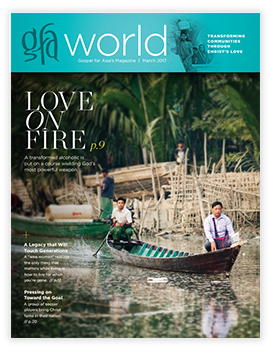 Consumed by a fire that could not be put out, Myo Zaw traveled throughout his region, walking from place to place, sharing the Word of God.  He told people “how a sinner like me was found by God.” In three years, he visited 100 communities. His wife, Shway, sent him letters while he was away to encourage him. And people were—350 of them. They heard of His great love and saw it lived out in His child, and it changed them. 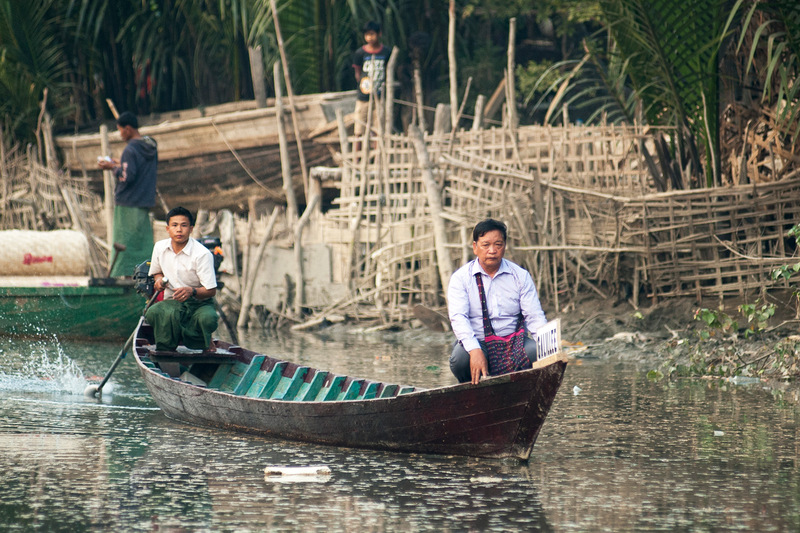 Not long after, a man visited Myo Zaw’s village and shared about the different places in their country and how Jesus went to a foreign land, though heaven was His home. The fire inside Myo Zaw intensified. He knew without any doubt that his life needed to be about sharing the Lord’s love with others. It was a powerful love that transformed him, and he knew others needed it, too. 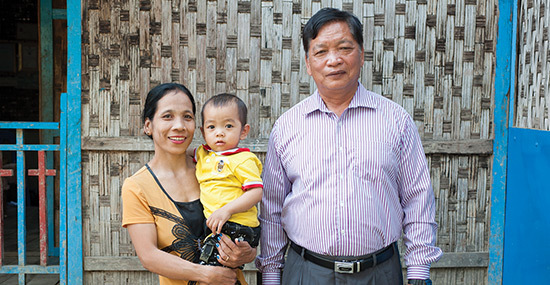 Myo Zaw (pictured) with his wife, Shway, and youngest son. He told himself, “It is better that I go and give my life for the people in foreign lands.” So he and his wife prayed and prepared themselves to live in an area where people were unfamiliar with the Lamb of God. Nearly 10 years later, God sent them to the southern region of their country as GFA-supported missionaries. 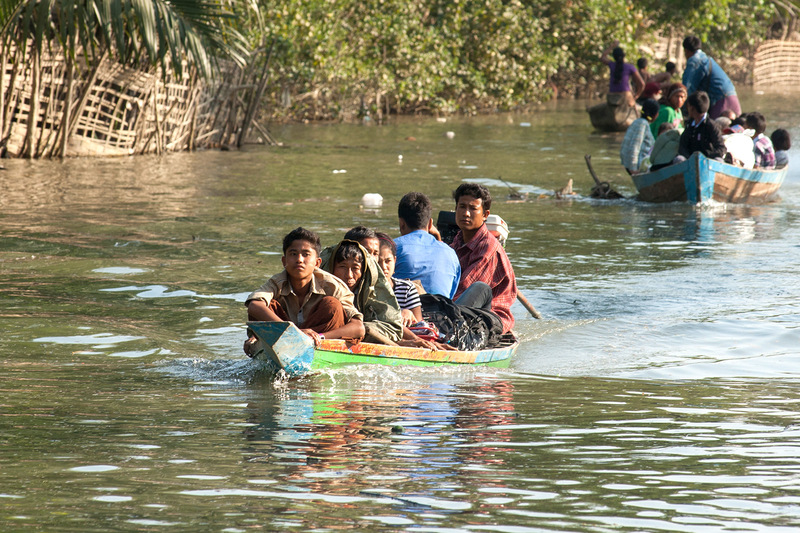 In their new community, people quickly realized Myo Zaw and his family were Christians and decided they would have nothing to do with the new arrivals. People threw stones at Myo Zaw’s home and threatened to penalize others if they spoke to the Christians. 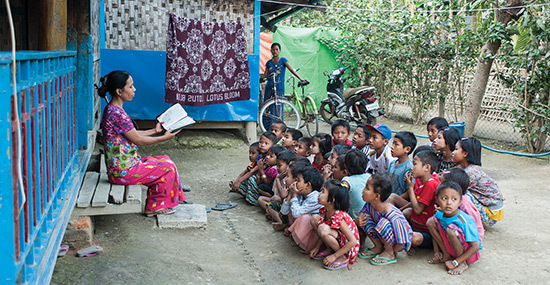 Even Myo Zaw’s young children faced discrimination at school because of their faith. 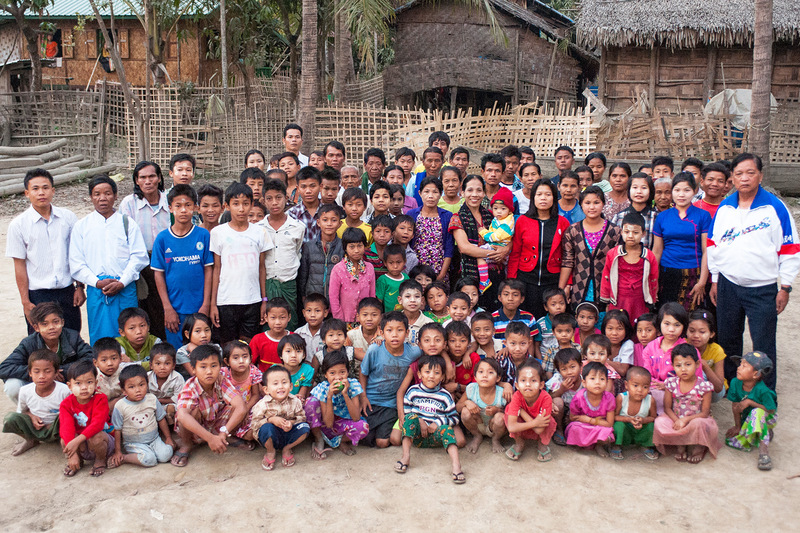 Myo Zaw, Shway and their children trusted Christ throughout the hardships, and with the Spirit’s fiery love pulsating within them, they learned how to love the people in their new community. Myo Zaw’s wife, Shway, leading Sunday School in one of the local fellowships. The pastor started with film ministry, showing people movies they enjoyed and also the film of Jesus’ life. 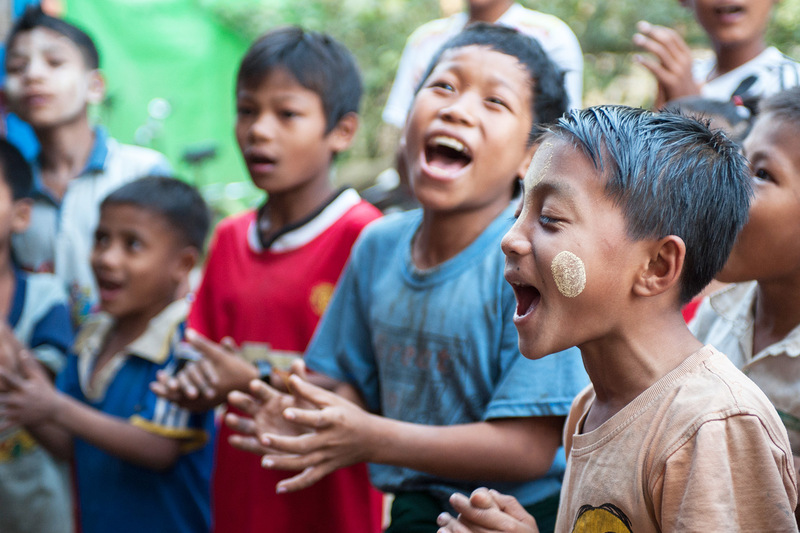 The local children felt Myo Zaw’s and his wife’s warmth and began visiting them. Myo Zaw and Shway would give the young boys and girls treats, teach them songs and bathe the ones that came looking haggard. The community watched how they cared for their children and wondered why this man and his wife loved them so much. Soon, people talked to them at the market, and Pastor Myo Zaw and Shway were able to reveal Christ’s love to them. They cared for the sick and took people to the hospital when needed. 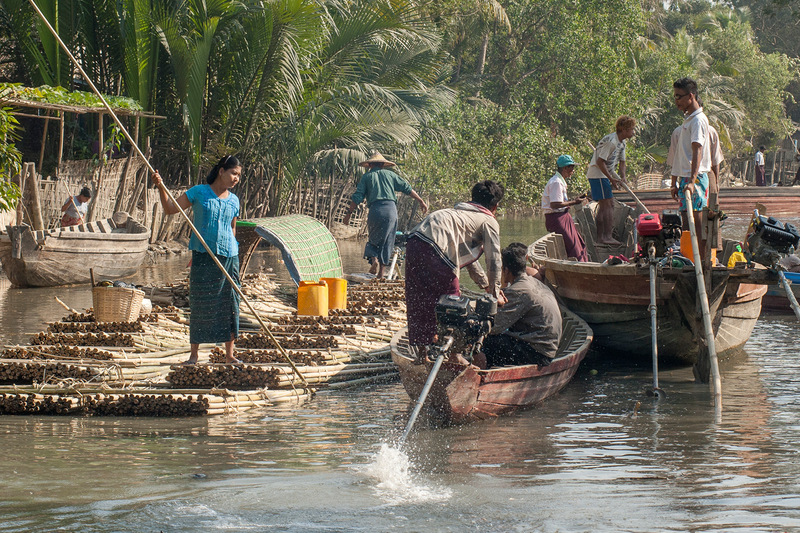 When floodwaters destroyed homes and livelihoods, they and other GFA-supported workers helped provide relief. 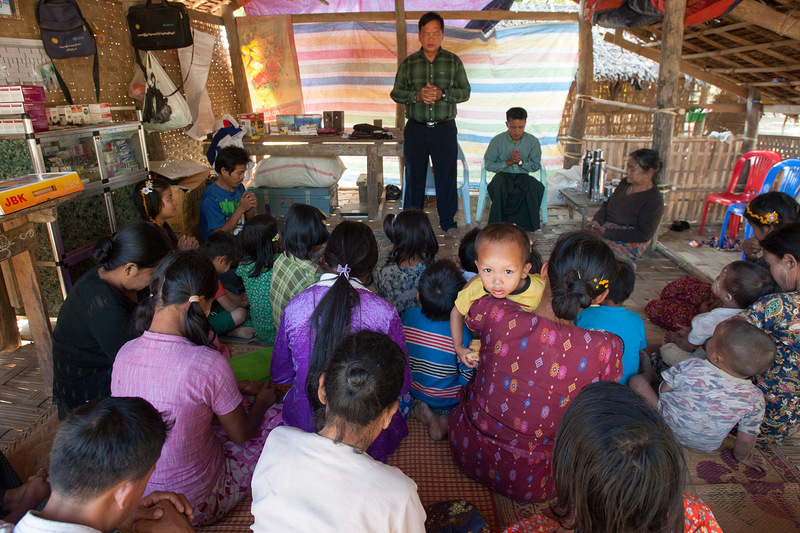 Pastor Myo Zaw frequently visited people to encourage them and offer words of life and hope in Christ Jesus. And people visited him as well. The fire God kindled within Myo Zaw on the first day of his redemption continues to burn brighter and hotter as the years pass. After 14 years of displaying Christ’s love, people feel and understand Myo Zaw’s love for them and many return it. They’ve come to know that “everything I do is for them,” he says. And he does it because of Christ. 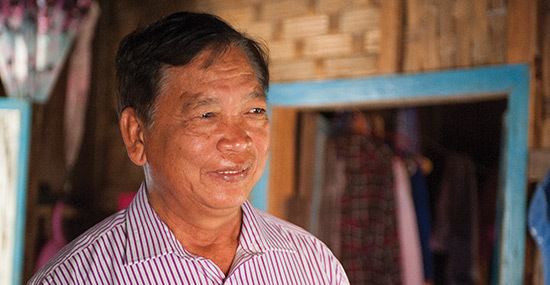 Sponsor a missionary like Myo Zaw today.